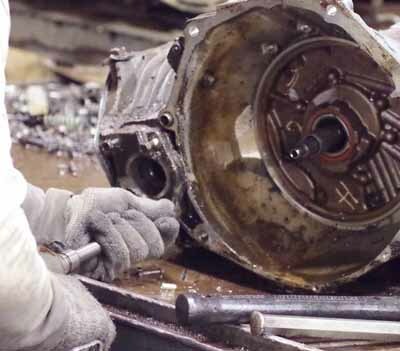 G-COR has one of the largest transmission dismantling operations in the USA. 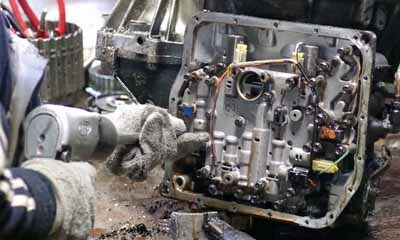 The stripping process is highly organized and is conducted on a series of disassembly lines. 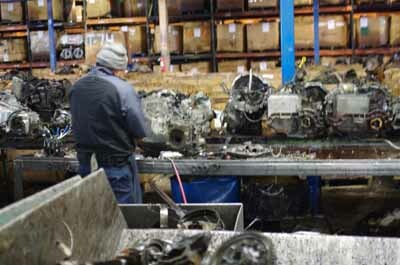 This ensures that the required parts are safely collected for our customers. 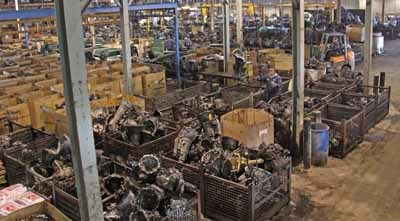 The parts are then processed (buffed, scrubbed, cleaned, packaged) and inventoried. Packages are identified with industry standard numbers for both individual and volume purchase. G-COR’s warehouse is organized for efficient and accurate shipping.